Michael Floyd is sticking to his story and the Minnesota Vikings are apparently buying his excuse that kombucha tea is the reason he failed three Breathalyzer tests. 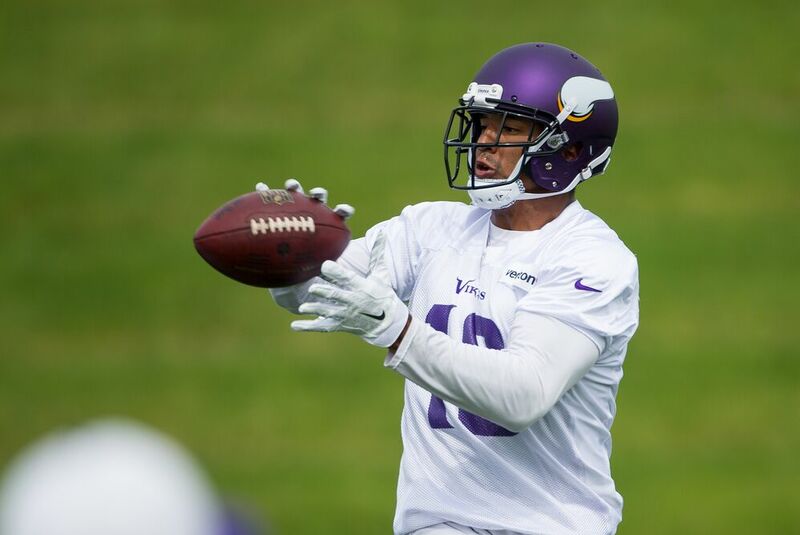 Michael Floyd is hoping he can resurrect his once-promising NFL career with his hometown Minnesota Vikings. But his second chance at a second chance in the NFL could be over before it got underway after failing three self-administered Breathalyzer tests. Floyd was convicted in February of extreme DUI and the video that circulated of his arrest was a shocking visual at how impaired the then-Arizona Cardinals wide receiver was when he was found asleep behind the wheel of his vehicle. The Cardinals released the former Notre Dame standout and he was picked up by the New England Patriots. Unable to stick with the Super Bowl champions, Floyd was picked up by the Vikings but after Floyd failed three Breathalyzer tests, his time with the team could be cut short. Floyd said the reason he failed the three self-administered tests was as a result of consuming bottles of Kombucha tea while watching movies with Vikings tight end Kyle Rudolph on June 11. That’s a new excuse, but it’s one the Vikings are seemingly believing to be the truth. Drinking alcohol is a violation of Floyd’s probation and he could be sent to prison. Vikings COO Kevin Warren wrote a letter in Floyd’s defense to a Scottsdale City Judge, according to the Pioneer Press. According to a report from Deadspin, kombucha tea carries a 0.5 ABV, so how many gallons did Floyd have to ingest and in how short of a time did he have to do that to fail the Breathalyzer? That’s a question the law will have to address and their answer could determine if Floyd suits up for the Vikings later this year or if he’ll have to spend some time behind bars.